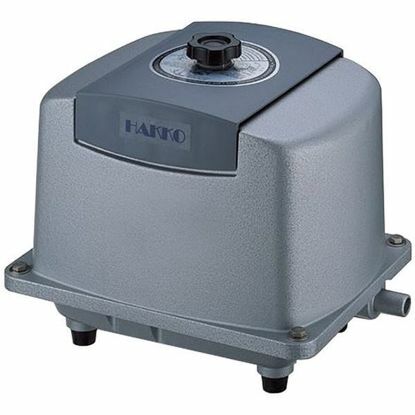 Hakko Air Pumps are high volume diaphragm pumps designed for a variety of low-pressure applications. Koi pond aeration, large aquarium aeration and earth pond destratification are only a few of the many applications for Hakko pumps. Hakko pumps are compact, affordable, energy-efficient and very, very quiet (less than 38 decibels!)! Hakko units utilize linear- motor theorem to reduce power consumption during full operation. 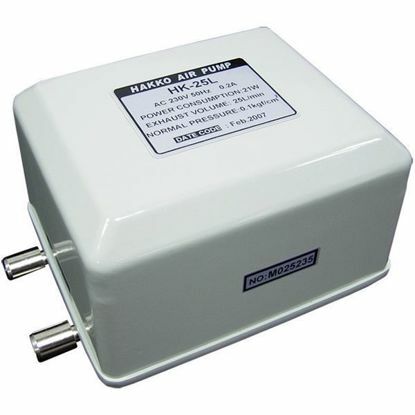 Units are extremely quite utilizing spectrum analysis technology in order to decrease any mechanical noise. The Hakko HK-80L Linear air pump represents a top of the line Linear Air Compressor with 3 year warranty. It is suitable for koi ponds up to 8,000 gallons. The Hakko HK-120 Linear air pump represents a top of the line Linear Air Compressor with 3 year warranty. 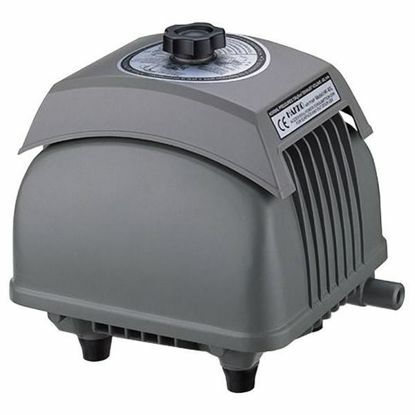 It is suitable for koi ponds up to 12,000 gallons.